This was hardly to suggest that the police forces had lost interest in capturing Julian Assange. What mattered here was that the costs in guarding Assange from a literal flight of fancy had simply become disproportionate, requiring a change of tact. Over £12m in costs had been incurred since he skipped bail to avoid his Swedish sojourn, and irrespective of which side of the Assange side one was on, anger was mounting at a very conspicuously bloated project. The statement from the Metropolitan Police was cool in its language. “Like all public services, MPS resources are finite. With so many different criminal, and other, threats to the city it protects, the current deployment of officers is no longer believed proportionate” (The Guardian, Oct 12). The siege, according to WikiLeaks spokesman Kristinn Hrafnsson, had not been lifted so much as reconstituted. “My interpretation is that it has not been lifted. They are calling off the uniformed presence but escalating the covert operation and will arrest him if he steps outside off the embassy.” Costs, in other words, were going to be moved off the books to un-uniformed personnel. Having been granted political asylum for fears that he might be carted off to the US via Sweden to face the findings of an empanelled grand jury, he remains confined to the cramped quarters of the embassy. Nor can he rely on new laws in the form of the Anti Social Behaviour, Crime and Policing Act 2014 that make an “accusation” – in this case, claims of sexual assault on two Swedish nationals in Sweden – insufficient to require extradition. As the laws were passed after the fact, precisely motivated by the Assange imbroglio, the foreign and commonwealth office has deemed it inapplicable retrospectively. 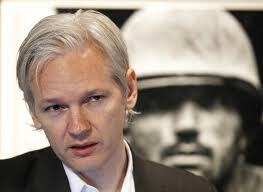 Assange, as ever, continues to be the legal exception, a singular target of juridical manipulation. In the meantime, the UN working group on arbitrary detention (WGAD) has been considering Assange’s case, and it likely to find in his favour given its previous rulings of a deprivation of liberty when a person is forced to choose between confinement or the forfeiture of a fundamental right such as asylum. Such insecurity was again compounded by the FCO response to a request made by Assange on September 30 to be allowed safe passage from the embassy to a nearby hospital to examine his shoulder. Ecuador’s foreign ministry also got on the case. Foreign Minister Ricardo Patiño had told state TV that Britain should allow Assange to “benefit from the right of asylum that we have granted him, as should be done in a respectful international relationship” (Andes, Oct 14). The response hedged more than clarified: by all means Assange was free to leave the premises, but no guarantees about safe passage would be offered. “There is no question that the British authorities would in any way seek to impede Mr Assange receiving medical advice or care. We have this clear to the govt of Ecuador.” What the police did, however, was another matter. Little wonder, then, that embassy officials have considered various ways of breaking the impasse, considering everything from concealing him in fancy dress, enabling him to move across Kensington rooftops to a helipad, or getting lost in the shopping crowds of Harrods. These, at the very least, provide some mirth in the otherwise serious efforts to nab this bushranger of the information age. Abdi v United Kingdom  Application no. 27770/08, paras. 55-75; Mikolenko v Estonia  Application no. 10664/05.